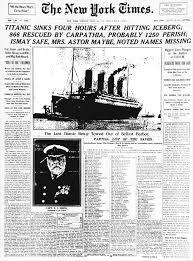 The morning of April 15, 1912, the Royal Mail Steam ship, Titanic was in trouble. At approximately 11:40 pm, there were two men in the crow’s nest, Frederick Fleet and Reginald Lee. The two young men were ordered to keep a sharp eye out for icebergs, growlers, and field ice. However, the night was an unusual one, for there was no wind, no moon, and the sea was a flat calm. Without the benefit of wind, and the moon, it was incredibly difficult for Fleet and Lee to see what was out ahead of them with only the stars lighting the sea. Despite their best efforts at staying sharp, a gigantic iceberg still managed to be right in front of them. Murdoch tried to reverse the engine, and turn Titanic out of the way, but it was too late. Murdoch had grim news for Captain Smith, and then he passed it along to the two wireless operators that began sending out telegrams. Who would know that over 100 years later, one of those telegrams would be the subject of controversy? 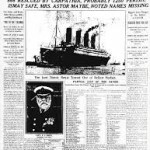 While things were transpiring in the middle of the North Atlantic, the news of the Titanic’s accident was beginning to be picked up back in the United States. Back during that time, the signals coming across the ocean were telegraph signals that could be picked up by anyone. There were no federal regulations regarding those signals, and anyone with a knowledge of Morse code could easily put together a headset, get a pad and pencil, and easily write down the various dots and ashes that were coming over the air. However, while the news was beginning to come in, the head of the White Star Line offices was a man named Philip Franklin. As people began to question what had happened to Titanic, Franklin denied anything was wrong. Franklin claimed that yes something had happened, but he did not know the exact extent of the disaster… Or did he? While Jack Phillips was trying to get help for the sinking Titanic, he was signaling other ships of the accident. 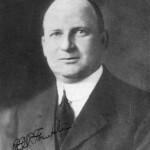 In between talking to various ships, one telegram has been found that showed that Phillips not only sent messages to every ship he could, but he sent one to New York City as well. 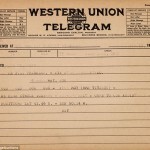 Who was the telegram addressed to? 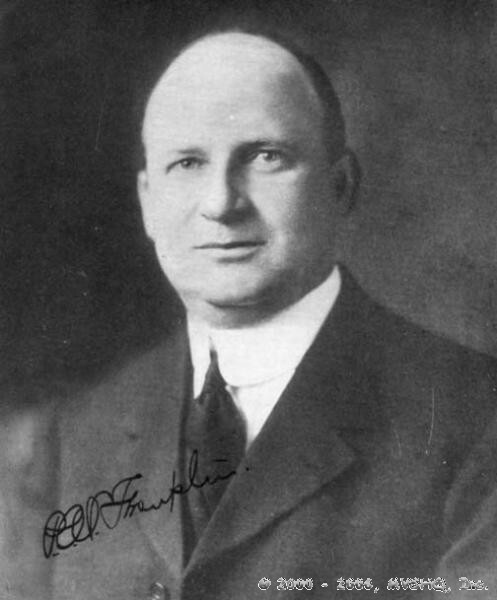 Philip Franklin. The message is addressed to Franklin, and states that the Titanic had struck an iceberg, needed help, and asked for Franklin to please send ships to assist them. The message also gave the Titanic’s position, which was 41 46 N, 50 14 W.
Did Franklin know about the Titanic before anyone else? While others may think that he deliberately hid the truth, but did he really? The way Franklin spoke seems to indicate that he had no idea what was happening, and there is no indication at all that he even saw the message. People need to remember how hectic things were that day, and there was news filtering in from many sources that something had happened to the Titanic. There was a lot of conflicting information, and at one point, the news was that the Titanic was still adrift, and all the passengers on her were safe. The ship was supposedly surrounded by two other ships, and it was damaged but still afloat. The news of the Titanic’s supposed survival was so believed that White Star Line even sent trains full of families to Halifax where the ship was going to be towed to. Philip Franklin was just as shocked as the rest of the world when Titanic sank. 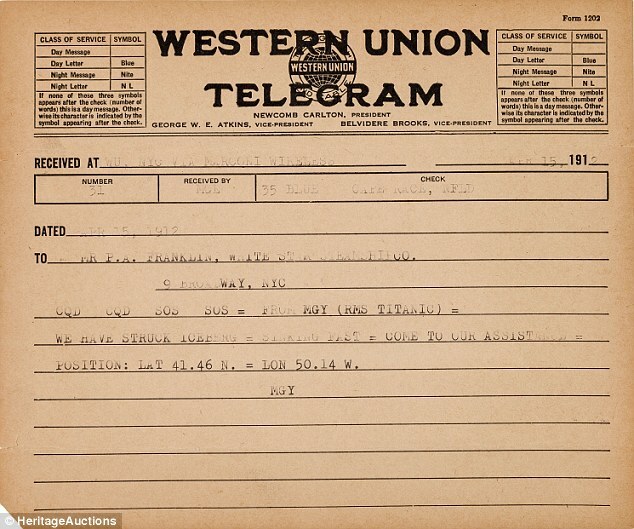 The now famous telegram is up for auction in Texas, and the opening bid was $20,000 dollars, and has sold, but information about who bought it is not available at this time. The Titanic sinking was a tragedy, and the whole world was shocked by it, including those that owned the ship. 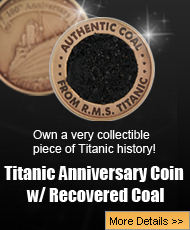 Next post: Is Titanic Artifact A Fake?